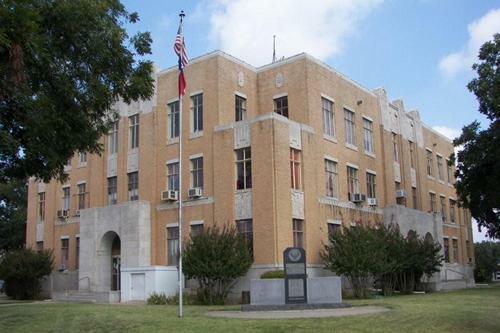 Wellington, Texas, Collingsworth County Seat. 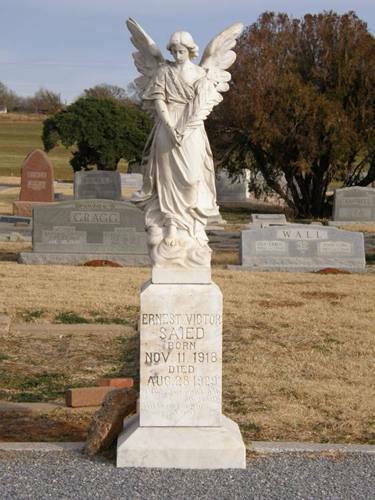 The county's first resident settled the area in 1876. 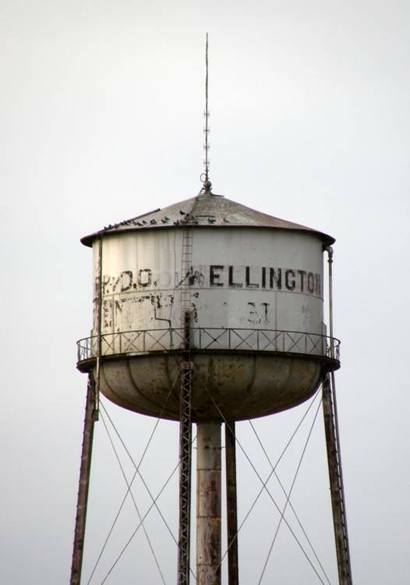 When the county was organized in 1890, Wellington had a rival for county seat. 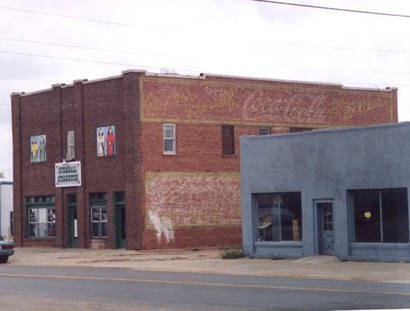 Only two miles from Wellington, Pearl City was thought to be a shoe-in. 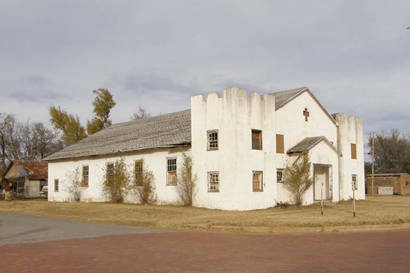 The management of the Rocking Chair Ranch urged their employees to join the Wellington camp. The strange name was in honor of the Duke of Wellington. (A distant relation of a Rocking Chair Ranch partner was present at the Battle of Waterloo.) 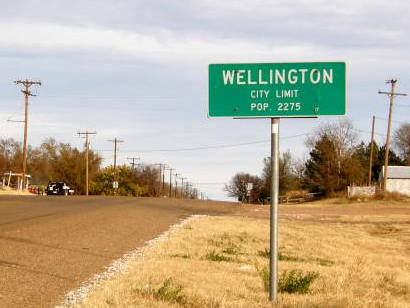 Voters in the county were offered free town lots if they voted for Wellington. Hardly anyone was surprised when Wellington defeated Pearl City. 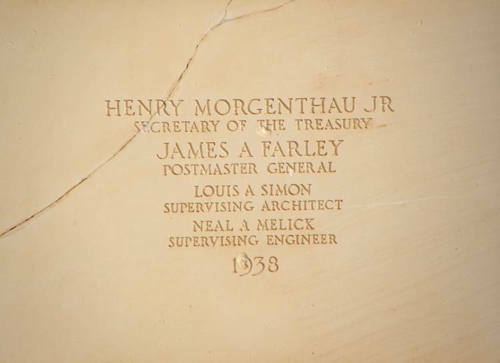 Wellington got a saloon (moved from Pearl City) and a post office (mail via Memphis) in the same year of 1891. 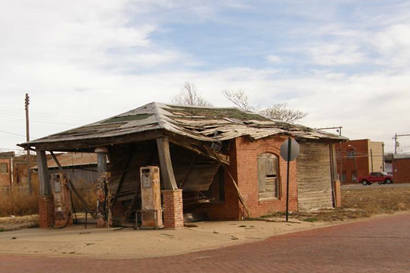 The county voted dry in 1898, eliminating the saloon. 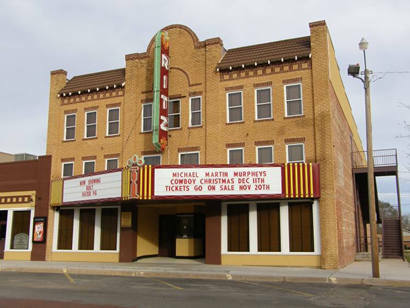 Cotton replaced cattle as the major economic influence and the town had 600 people when the Wichita Falls and Northwestern Railway came through in 1910. 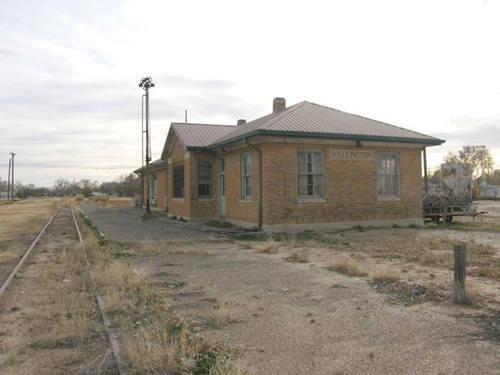 The arrival of the Fort Worth and Denver Northern Railway occurred while the new courthouse was being constructed in 1931 and further improvements in the city's infrastructure resulted in an increased population. Owned by Scottish Earls of Aberdeen and Tweedmouth. 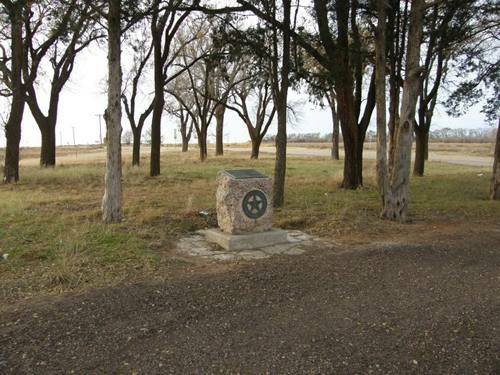 The headquarters were at Aberdeen (about 7 miles northeast). 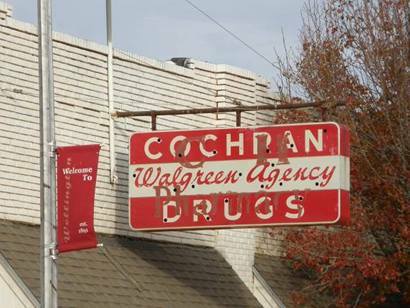 Starting with 14,745 cattle, the Rocking Chair made profits for a few years, then failed. In north part of county are hills bearing its name. 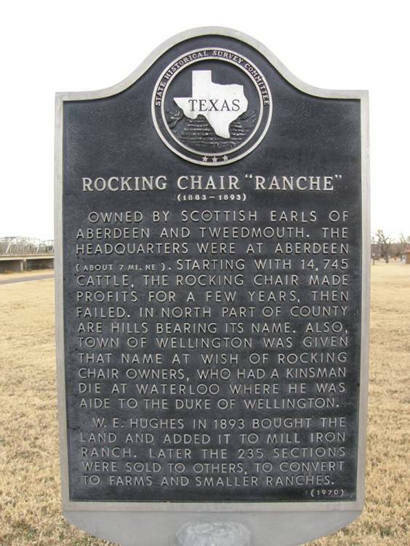 Also, town of Wellington was given that name at wish of rocking chair owners, who had a kinsman die at Waterloo where he was aide to the Duke of Wellington. W.E. 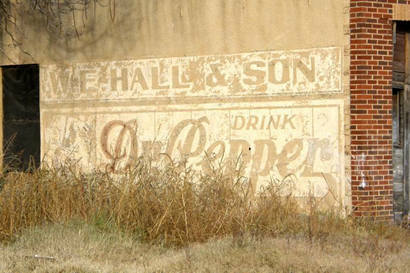 Hughes in 1893 bought the land and added it to Mill Iron Ranch. 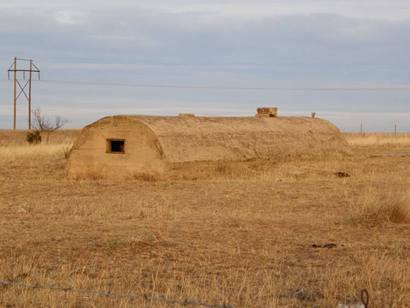 Later the 235 sections were sold to others, to convert to farms and smaller ranches. In 1852, Capt. R.B. 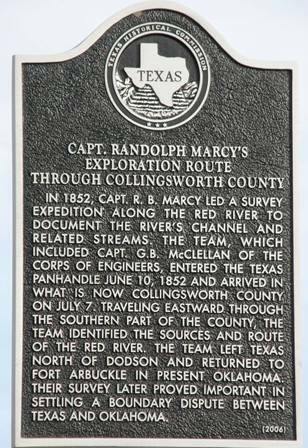 Marcy led a survey expedition along the Red River to document the river's channel and related streams. The team, which included Capt. G.B. 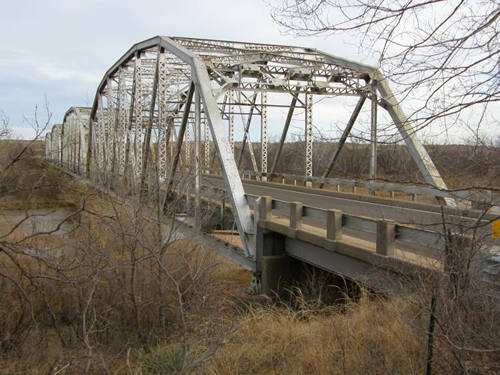 McLellan of the Corps of Engineers, entered the Texas panhandle June 10, 1852 and arrived in what is now Collingsworth County on July 7. 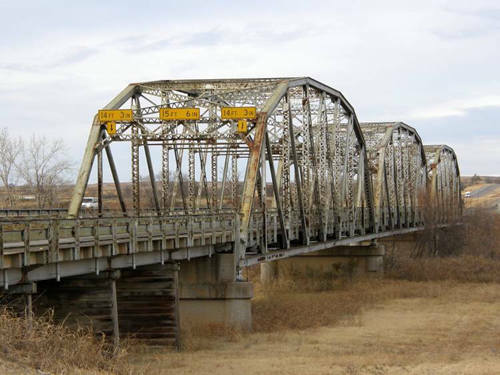 Traveling eastward through the southern part of the county, the team identified the sources and route of the Red River. 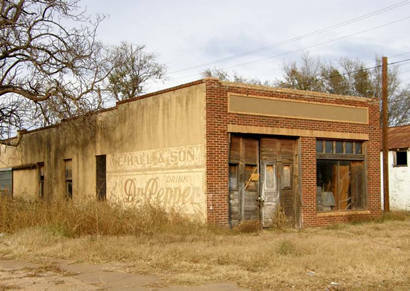 The team left Texas north of Dodson and returned to Fort Arbuckle in present Oklahoma. 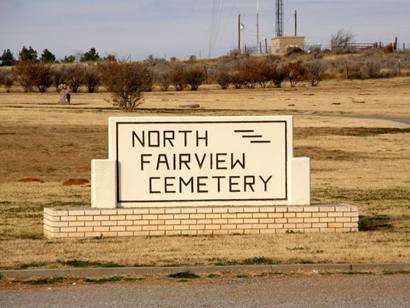 Their survey later proved important in settling a boundary dispute between Texas and Oklahoma.